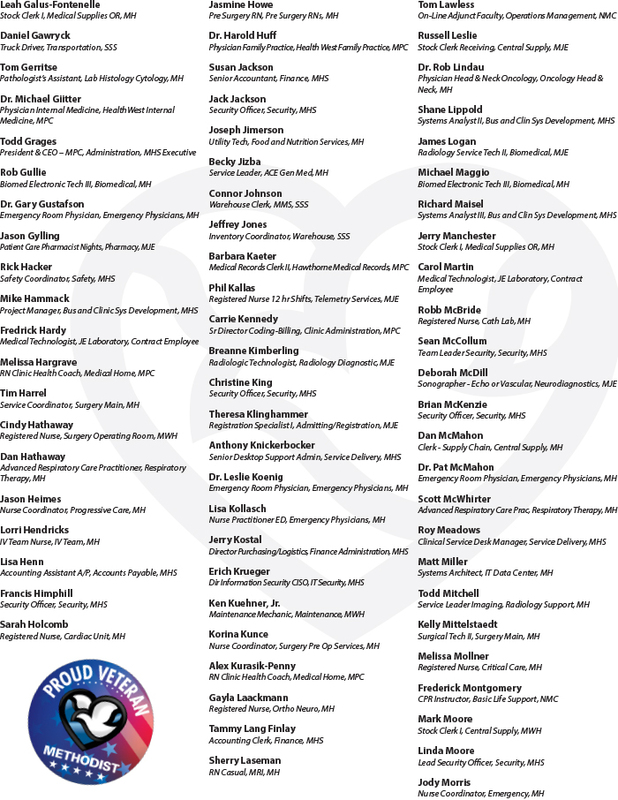 This week we will honor the many veterans within our Methodist Family with the special Honor Roll posted below. 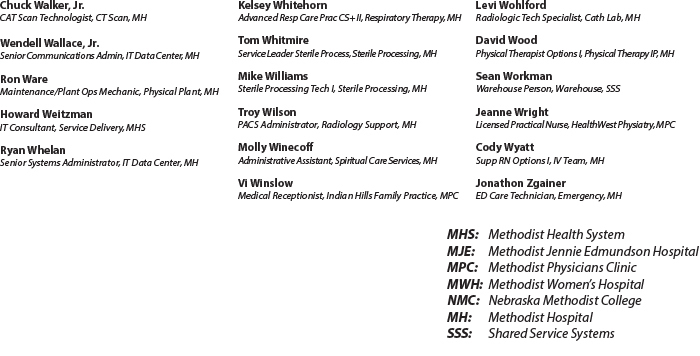 Honor Roll lists will be on display in Methodist hospital chapels and posters in Methodist cafeterias Nov. 9-13. 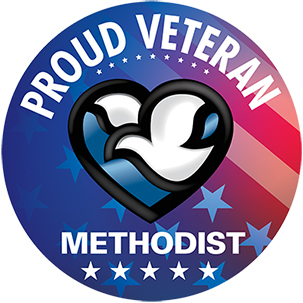 Watch for Methodist veterans wearing the special sticker shown here, and take a moment to honor them for their service to our country. 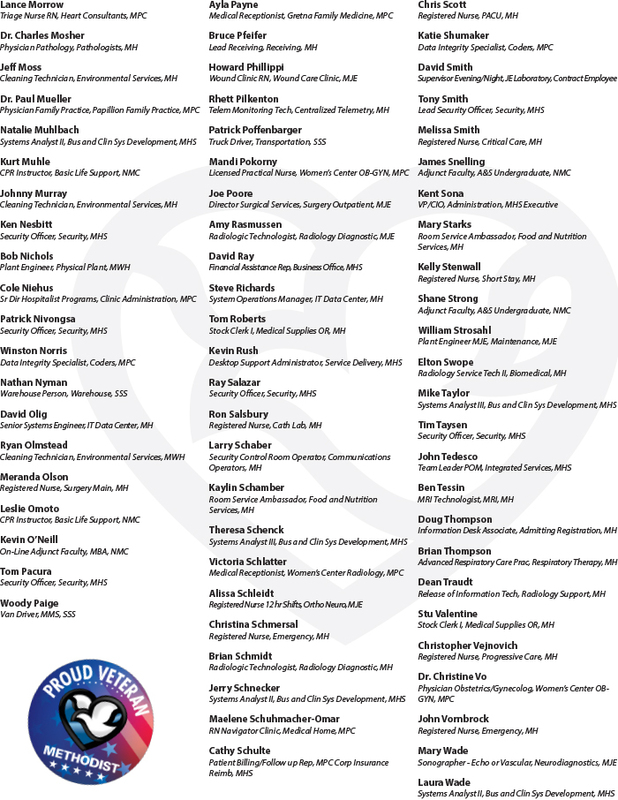 To all of our veterans, we say: Thank you for your service! 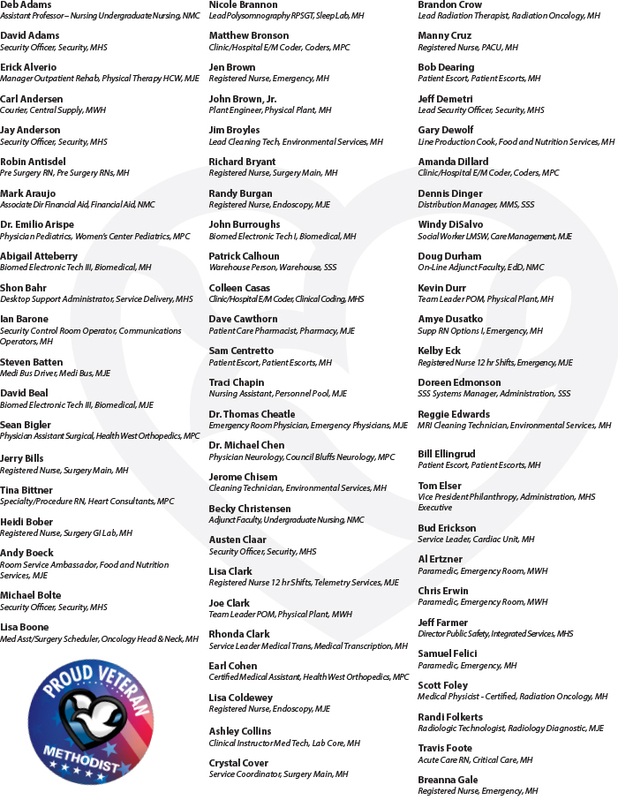 Click here to download and print the 2018 Veterans Honor Roll. *Editor's Note: The request for employees to update their military/veteran status in Lawson Employee Self Service by Oct. 12, with instructions on how to do this online, posted to Employee Connections on October 3.